The Honor 8 is another device we wouldn’t typically review, but seeing as how options may seem limited given the circumstance surrounding the Galaxy Note 7, we wanted to spend time checking it out. Additionally, this tier of “mid-range” devices have become quite the little competitors, complete with what we would label as top-tier specs and features for a relatively inexpensive price. While the 5.2″ FHD display and octa-core processor with 4GB of RAM certainly get the job done in terms of overall performance, the Honor 8 does have its shortcomings. It took me a solid week to really master all of the device’s software tweaks on EMUI, which is a skin I might rank as one of the lowest in terms of ease-of-use and appeal. However, a few of the features might make up for EMUI’s look, so I can’t sit here and stress over it too much. On the backside, you will find a dual camera system with two 12-megapixel f/2.2 shooters. While one is for color and the other for black/white, I never got the sense that these cameras are overly great. If your lighting is just right, you will probably have no issues snapping shots, but when I found myself in low lighting scenarios and was trying to shoot a moving object, the Honor 8 simply could not keep up. If the autofocus was to catch a major boost in speed, and Honor decided to tweak the sensor’s sensitivity to outside lighting, the camera experience could be much better. 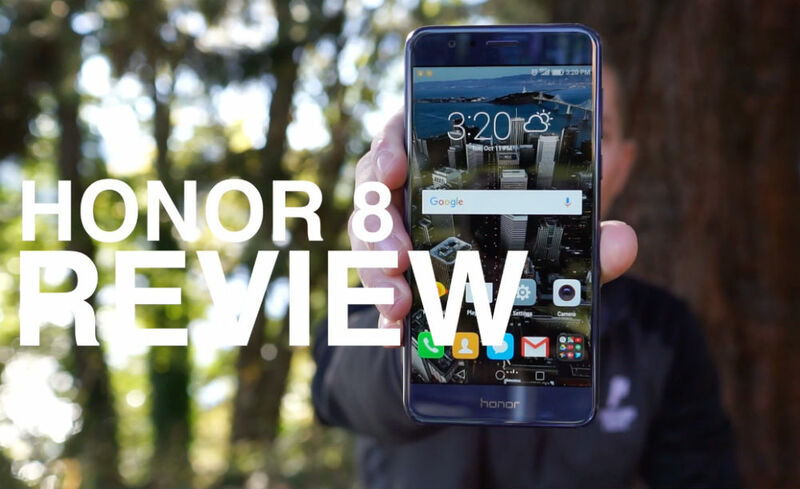 This is our Honor 8 review.